Is a screen not just a screen? The answer to that question is: Not at all. There are many different types of screens for a wide variety of applications. The most common purpose of a screen would be to let air in and keep pests out. But what if you have a majestic view from your window and don’t want to obscure it? We have a screen for that! Or perhaps the afternoon sun is melting your thermostat to the wall? We have a screen for that too!! Do you have pets or destructive children? We have a screen for that too! 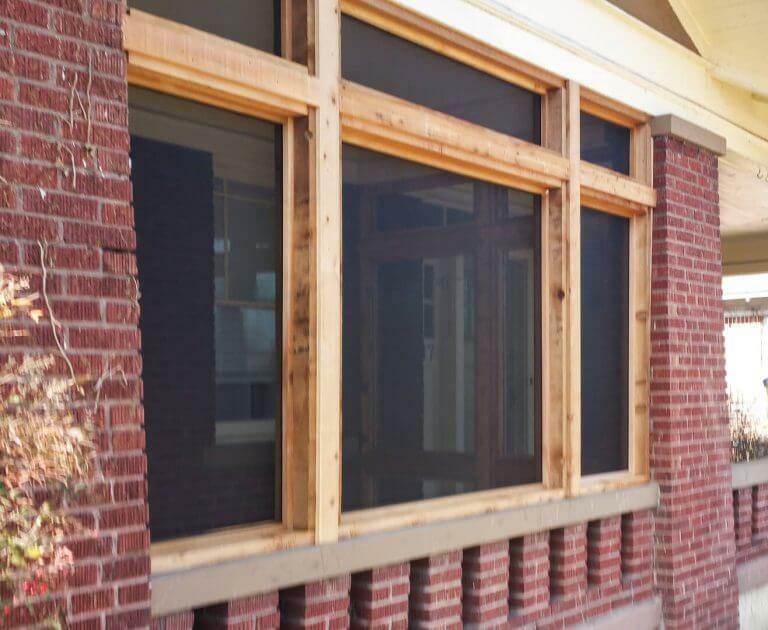 Whether you need window screens, porch screens, screen doors, or solar screens, we can help. Our screens are made custom for you and with our wide variety of options available we are sure to have just what you need. It’s time to let the fresh air in and keep the bugs out! Call us today for your free screen estimate! Are the sun's UV rays fading your home's interior? Is your air conditioner wearing down fast trying to keep up with the summer's heat? Are you tired of having to keep your blinds shut all day because the sun is just too hot coming through your windows? We can help you fix that. With Phifer SuperSolar + wire we can block 90% of the sun's damaging UV rays before they get to your windows and drastically slow down fading and keep your home or business cool and comfortable. Sometimes fresh air is just what a house needs. Opening your windows when the temperatures are moderate is a great way to keep your house fresh and cool but without screens, you get all the bugs along with that fresh air. We can make screens for your windows so you can enjoy the fresh spring air without all the bugs. If you already have screens but they're old and weathered we can rewire those and make them good as new. Our mission is to continue to build a network of satisfied customers by providing quality products and service at a fair price. Your project is more than just a job to us; it’s an investment in the future success of our business.